Boyds, Md. 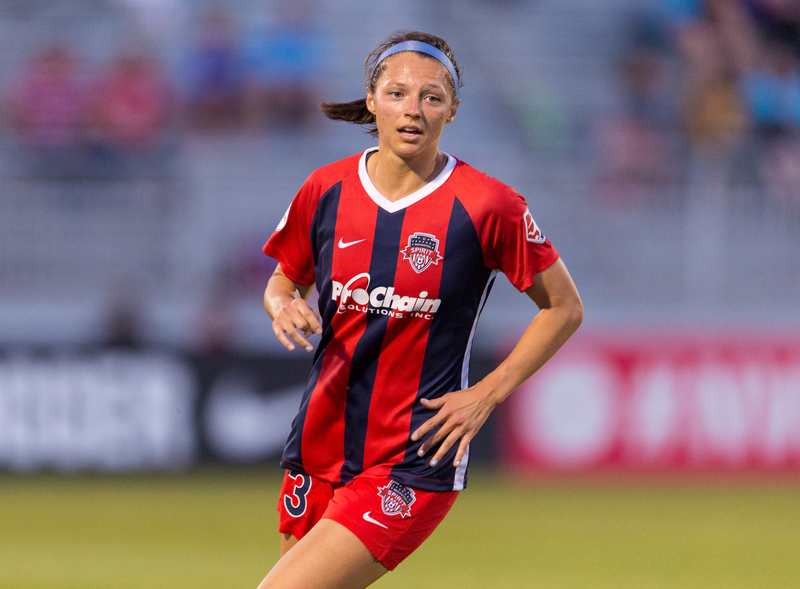 (3/17/19) – The Spirit found the back of the net early and often as the offense flexed its muscles during the club’s 2019 preseason opener against James Madison University at City Stadium in Richmond, Va. It was the Spirit’s first game under new head coach Richie Burke. The scoring began early in the first half after a sharply-driven corner kick was knocked down in the box by midfielder Andi Sullivan, who then played the ball to the front of goal, where Ashley Hatch finished the chance from close range. After just 7 minutes, the Spirit led 1-0. Hatch would strike again in the 28th minute after a clever pass from Jordan DiBiasi found her in space at the top of the box, where she converted the chance into the top left side of the net to make it 2-0. Next to find her name onto the score sheet was DiBiasi in the 32nd minute, as she finished a poacher’s effort after a Cheyna Matthews chance was saved and deflected into her path for the finish. The final goal of the first half came courtesy of a Cali Farquharson header following a pin-point cross from defender Megan Crosson that found Farquharson unmarked at the top of the six-yard box. At the half, the Spirit lead by four goals to zero and had attempted 16 shots, 10 on target. While the offense was thriving, the Spirit defense was stifling, not allowing a single shot during the first half. In addition, the Spirit defense played cleanly at the back, not committing a single foul through 45 minutes. Spirit forward Mallory Pugh came out of the half focused, as she scored within a minute of play resuming in the second. Pugh intercepted an attempted back-pass to the keeper and calmly chipped the chance into the back of the net to make it 5-0 in the 46th, which was the final Spirit goal of the game. Washington showed their full offensive and defensive capabilities, as they finished the game with 25 total shots, 15 on target to JMU’s five total shots with just one on target. The Spirit’s next preseason game will be the Spirit’s 2019 SoccerPlex debut against Girondins De Bordeaux of the French Division 1 Feminine on March 23. Kickoff is set for 7 p.m. EST, gates open at 6 p.m. EST.